AudioMixers allow us to control the signal flow of audio sources in a Unity project. Using an AudioMixer one can change volume levels, route signals into groups and process sounds with audio effects. In this lesson we'll cover the basics of creating and configuring AudioMixers including assigning audio sources to groups, routing groups into one another and routing AudioMixers into other audio mixers. of audio in our projects. is assigned an audio listener component. 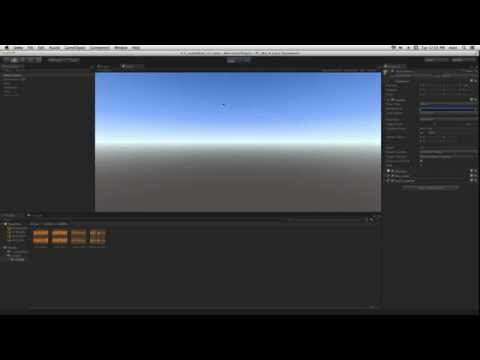 In Unity all audio starts at an audio source. which is also set to play on awake and loop. an arpeggio kick and percussion. on Mac or control-8 on PC. to give myself a little bit more real estate. with a master group here. that a normal mixer channel would not. and currently nothing is assigned to it. no movement in the meters. to the master channel of audio mixer 1.
to the audio listener on the main camera. is created with an attenuation effect applied to it. passing through the master group. we're going to need to click Edit In Play Mode. that the change is being reflected. to the audio mixer asset. and click the + button twice. of the currently selected group. group A and group B have appeared. activate Edit In Play Mode. it's now on it's own group. everything which is routed through it..
a child of group A.
because group B is a child of group A.
and then passes through the master. by changing the routing of group B.
directly to the master, and we can test that out. So now we have the kick in group A. The arpeggio in group B. And everything being run through the master. parts of our mix individually. buttons on each of the groups. and make any changes we need to make. When we click mute the opposite happens. and we can hear anything else that we need to hear. audio effects that we've applied to the channel. high frequencies from our arpeggio sound. or we want to check something we can bypass. setting up your mix and designing your sounds. engine while the game is playing. Additionally each group has it's own pitch control. let's set it to 50%. signal flow with multiple mixers. to control the overall balance of the mix. We can now create two groups within this. and assign that to the percussion channel. and route it to the master output. we can choose drum group as an input. that you want to manage the view of the mixer. Once we've made them visible we can save that in a view. let's click the + button to make another. between different views of the mixer. and recall the state of the mixer. We'll cover snapshots in their own dedicated lesson. controlling our signal flow for our game music. some sound effects as well. which is available for download on the asset store. What we've done is we've setup two mixers. is a sound effects mixer. one for music and one for our sound effects. If we play our scene we can see this in action. and one overall volume for music.